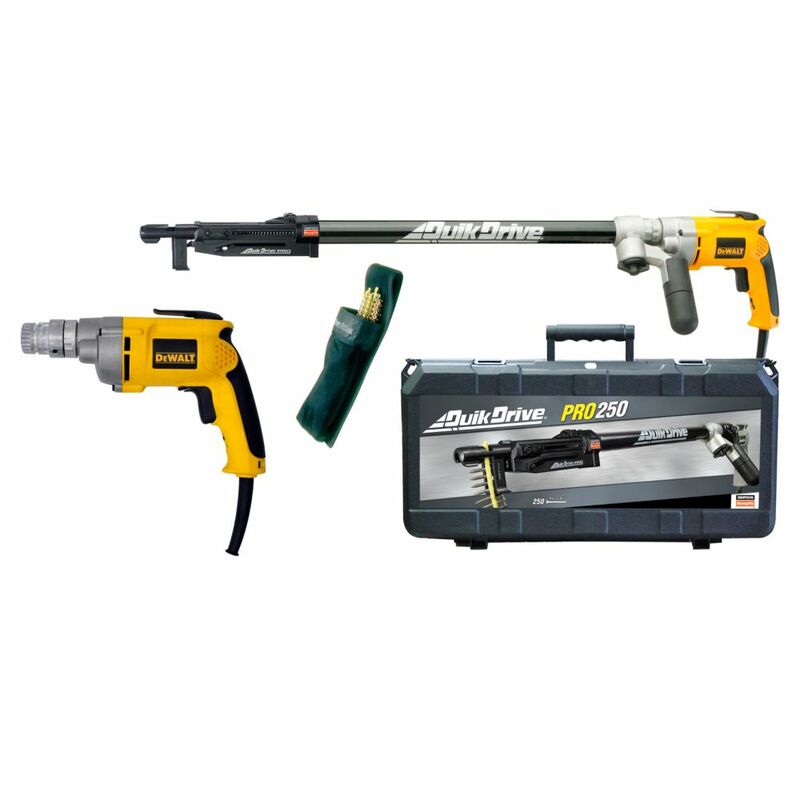 PRO250 Quik Drive System for DeWalt 2500 RPM Screwdriver Motor Quik Drive auto-feed screw driving systems turn repetitive fastening into opportunities to increase efficiency and save time. Extensive research goes into the design of each system and screw to understand the intended applications, fastener performance demands and the work flow in which installations take place. This results in professional-quality auto-feed solutions that truly make work easier.